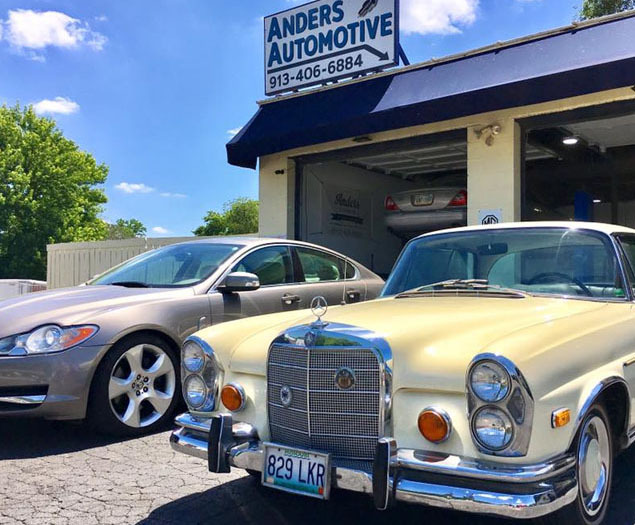 Anders Automotive – Local Auto Repair in Kansas City, Kansas is an auto repair shop started back in 2007. A few years ago, they teamed up with Yorkie’s Foreign Car Services to form a solid partnership and better serve their customers. They treat their customers like family, giving honest assessments and prompt repairs on every vehicle they service. Not to mention, it’s great to go down and see all of the classic cars at their garage on any given day. Their old website was built on Wix, which was great as a start for their website. However, it came time where they wanted to grow and switch to an optimized WordPress website. Another concern that Anders Automotive had was in figuring out how to represent their new business partnership. When building the website, we didn’t want to lose over 50 years of trust that Yorkie’s had built! The result was building strong representation for Yorkie’s within the Anders Automotive site. This page actually ranks at the top of Google search results for a number of keywords related to import and European car repair. Just as important, the photography made everything come together well. The result of their new website saw an immediate decrease in bounce rate, an increase in phone calls and email requests for auto service.